Welcome to SAGE Psychiatry News. Read on to discover impactful research from the leading journals in psychiatry including new special issues and noteworthy articles. Don’t forget to keep up-to-date with the latest calls for papers and submit your manuscript to our journals! Follow @SAGEClinMed for the latest research and industry news. 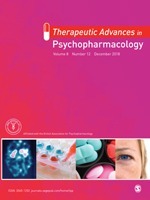 Check out the final issue of Therapeutic Advances in Psychopharmacology before the journal becomes gold open access. 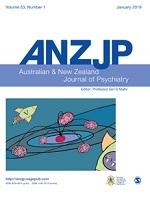 Our final issue of 2018 features research on depression, anxiety, bipolar, HIV and schizophrenia. Congratulations to Professor Gin Malhi, the Editor of ANZJP, who features in the 2018 Clarivate Analytics Highly Cited Researchers List. This means Gin’s citation records are in the top 1 percent in psychiatry in 2018. 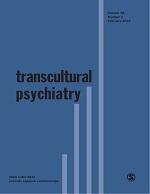 Transcultural Psychiatry's first issue of 2019 is now online, featuring articles on mental health in resettled refugees and developing a measurement strategy to capture psychological problems among lower caste adolescents in South India. This issue addresses the mental health needs of people with intellectual disability. The development of specialised mental health services which are accessible to all jurisdictions will be necessary for those with intellectual disability and more complex needs. Evidence is compelling, tools and expertise are available to support these developments, and failure to proceed at this point carries significant financial and human cost. 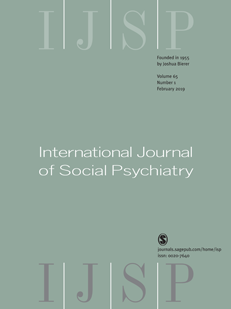 The history of transcultural psychiatry has recently attracted much attention, this issue presents papers from a 2016 workshop for an international panel of scholars at the Maison de Sciences de l’Homme Paris-Nord (MSH-PN). 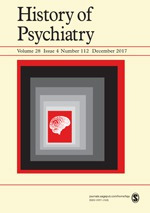 By conceiving of transcultural psychiatry as a dynamic social field that frames its knowledge claims around epistemic objects that are specific to the field, and by focusing on the ways that concepts within this field are used to organize intellectual work, several themes are explored that draw this field into the historiography of psychiatry. 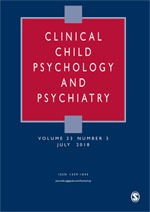 Clinical Child Psychology and Psychiatry’s latest issue contains a special section of articles about Physical Health Conditions and their impact on child psychology and psychiatry. Including papers on the rehabilitation for adolescents with severe Chronic Fatigue Syndrome, experiences of children diagnosed with cancer and identity formation in young people with chronic illnesses. 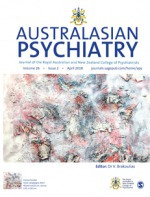 Watch an interview with the Editor of Australasian Psychiatry, Dr Bill Brakoulias, to learn how to critically appraise an article. 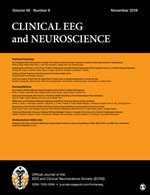 For only $200 for a year's subscription you will receive a free copy of the journal, Clinical EEG and Neuroscience. You will have access to research from experts in neurology, psychiatry, psychology and rehabilitation involved in translational research and clinical developments in the field of behavioural neuropsychiatry. An evidence-based consensus guideline for the clinical management of acute disturbance. It includes recommendations for clinical practice and an algorithm to guide treatment by healthcare professionals with various options outlined according to their route of administration and category of evidence. JGPN is pleased to announce a new competition in honor of Associate Editor Jeffrey L. Cummings. 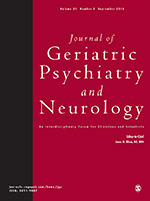 The best original manuscript submitted by a Geriatric Psychiatry, Neuropsychiatry or Neuropsychology Fellow currently in fellowship training or within one year of completion will be chosen for the award, which includes a free one-year digital subscription to the journal, promotion of the article on our JGPN homepage, and a 90-day free-access link to the article the author can share. 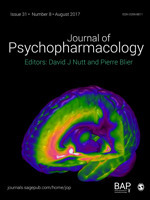 JGPN will publish the chosen review or research report in the same issue as a special invited article by Dr. Cummings in which he discusses a widely used research tool he developed, the Neuropsychiatric Inventory (NPI). To submit your work for consideration, please email Stephanie.Henkel@sagepub.com. 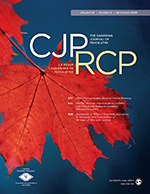 The Canadian Journal of Psychiatry includes peer-reviewed scientific articles analyzing ongoing developments in Canadian and international psychiatry. Regular features include the popular "In Review" series, written on a broad range of biopsychological topics; new perspectives articles that take evidence-based sides on controversial, complex, or emerging themes; and the latest Original Research and Systematic Review papers. The Congress will offer a comprehensive scientific program that will feature a full range of topics spanning the breadth of contemporary psychiatric practice and research. The Canadian Pharmacists Association (CPhA) and the Ontario Pharmacists Association (OPA) are excited to announce a new conference: Pharmacy Experience Pharmacie (PxP). PxP2019 is the inaugural event that replaces CPhA and OPA’s individual conferences. It is the national gathering for the entire pharmacy community to come together to learn, connect and be inspired about pharmacy as a profession, a practice and a calling. From big picture perspectives to practical takeaways, PxP2019 will feature engaging sessions that encourage delegates to share their experiences and learn from each other. Carlos Zarate M.D. from NIMH will be giving the guest lecture on the hot topic of ketamine and next generation fast acting antidepressants.